Share the post "Gynecologists: An Important Part of the Embolization Process"
Uterine fibroid embolization is performed by highly trained radiologists and physicians. Learn more about the importance gynecologists have in the process and the advantages of having one doctor qualified to do it all. Uterine Fibroid Embolization (UFE), also referred to as Uterine Artery Embolization (UAE), is a non-surgical fibroid treatment designed to block the flow of blood to uterine fibroids, causing them to shrink. This minimally invasive procedure is performed under the care of certified radiologists and trained physicians. Interventional radiologists are specially trained to perform minimally invasive vascular procedures such as angioplasty and embolization to treat a variety of conditions. The operating physician must be qualified to perform diagnostic angiography according to the standards of the American College of Radiology. He or she must be capable of taking part in a series of operational procedures related to the passage of a catheter, use of angiographic imaging, as well as the subsequent assessment of the result. Many gynecologist have not undergone the strict guidelines of the Task Force of Uterine Artery Embolization and the Standards Division of the Society of Interventional Radiologists; therefore, they are unable to perform this procedure. Gynecologists’ expertise in the evaluation and treatment of pelvic masses, abnormal uterine bleeding, and the surgical management of complications is necessary in the care of UFE patients. Uterine fibroid embolization should not be performed without a supportive gynecologist. Having one doctor certified in both gynecology and interventional radiology puts patients at an advantage when treating fibroids. Dr. Bruce McLucas, founder of the Fibroid Treatment Collective and pioneer of the UFE process, is proud to provide all-encompassing care at every point in the UFE process. Not only is he board-certified by the American Board of Obstetrics and Gynecology, he actively trains other physicians around the country to perform this safe, minimally invasive procedure. 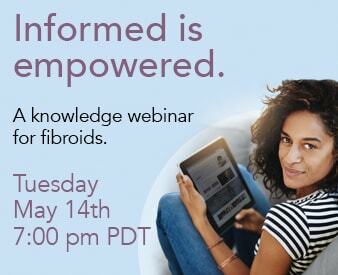 Click to watch a LIVE Uterine Fibroid Embolization.